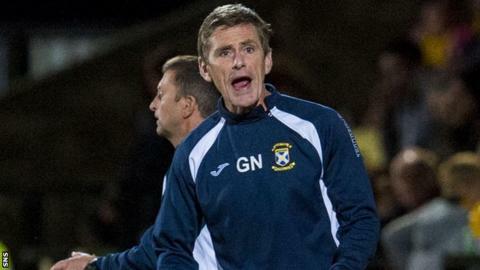 East Fife boss Gary Naysmith has won the Scottish League Two manager of the month award for March. The Fifers, who are top of their division by four points, won three of their four league games last month and drew the other. The biggest win for Naysmith's men in March was a 6-0 triumph away to Stirling Albion. The league leaders' pursuit of the title and automatic promotion continues at home to Montrose on Saturday.